Straying from last year’s fun-filled Carnival theme, TrueLogic took over Arkham Asylum during the Halloween party last October 28. 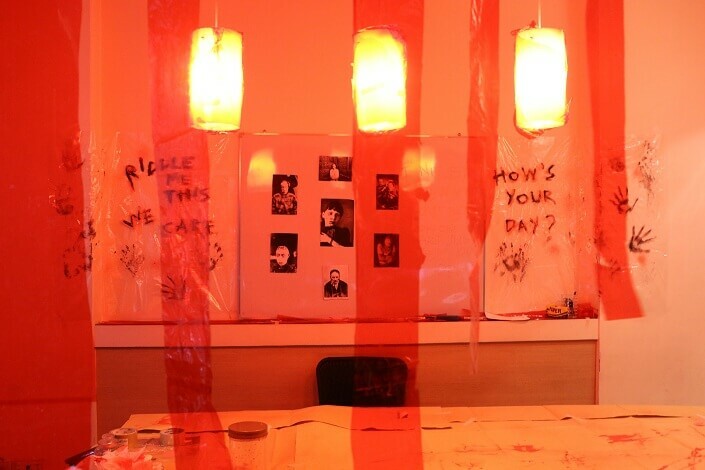 Three teams — the Admin Room, the Middle Room, and the Operations Room —put in a lot of effort and transformed their respective areas into their vision of the DC Universe’s renowned psychiatric ward. It’s safe to say that the TrueLogic employees had a blast decorating the rooms, posing at the photo booth, and planning their DC-heroes-and-villains-inspired tricks. 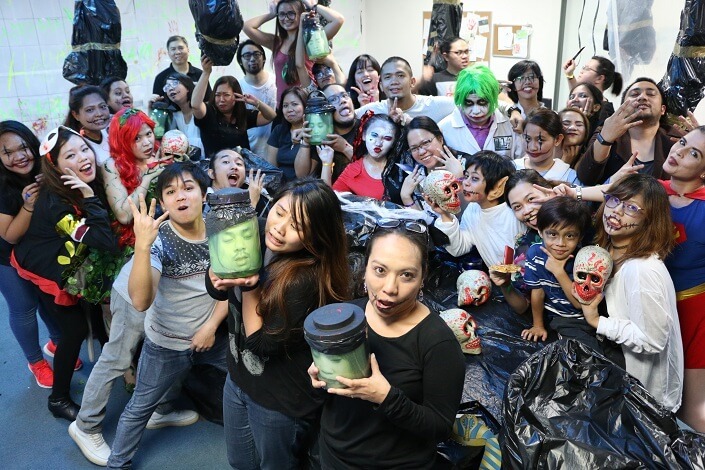 To kick off the Halloween party, the entire TrueLogic team gathered around the hallway for the introduction of the room decoration and costume contest judges: Zahra Bianca Saldua, Mary Kath Jane, and Carla Delos Reyes. At around 5pm, the beautiful panel began their private tour of each team’s decorated room. They visited the action-packed Operations Room first, took a scary tour around the Admin Room next, and visited the Middle Room’s madhouse last. While the judges deliberated and tallied their scores, the entire team gathered in the hallway for the costume competition. Keith Rosales, Mike Dimaano, and Ryan Reyes took over hosting duties as the contestants strutted down the red carpet dressed as their favorite DC heroes and villains. The fun didn’t end there, though. The TrueLogic team, divided into nine groups prior to the event, played some very interesting Halloween games. First, their ick-factor tolerance was challenged when they were tasked to identify the mysterious contents of several baby diapers using only their sense of smell and taste. Later on, everyone also had a fun time mummifying eight brave souls one-handed with rolls of tissue paper. 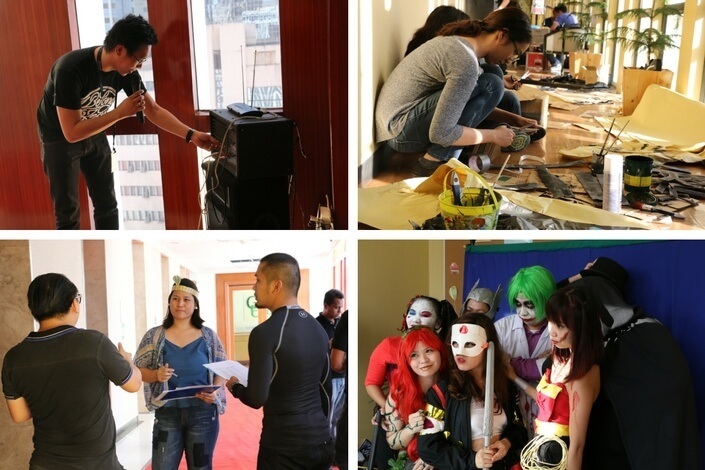 Every TrueLogic employee is competitive and aims only for the best, so it’s no surprise that the Halloween games were both exciting and intense. 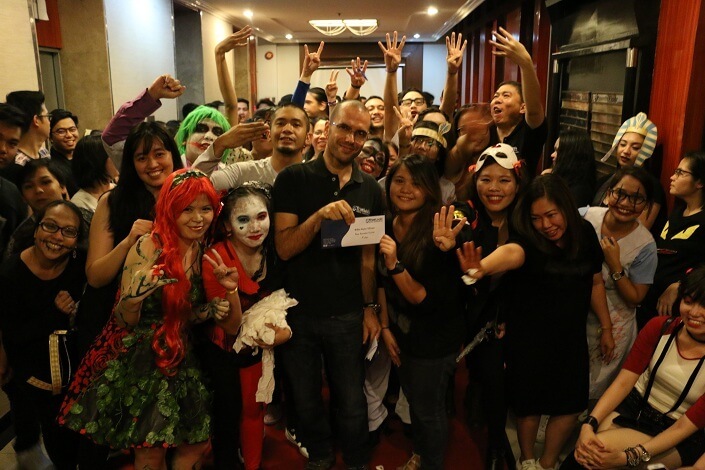 After the Halloween activities, the entire team gathered once more to cool off and attend the Town Hall meeting before the announcement of winners and the much awaited dinner. Everybody needs a positive boost once in a while, and that’s exactly what Town Hall did for the team. After reading out positive feedback and welcoming the newest members of the TrueLogic team, the hosts proceeded to announce the winners of this year’s competition. For the room decoration contest, the criteria were as follows: 30% Design and Creativity, 30% Adherence to the Theme, 30% Group Effort and Organization, and 10% Overall Impression. The winning team would collect Php 10,000, while the 2nd placer and 3rd placer stood to take home Php 7,000 and Php 5,000 respectively. Reinforcing their position as the Halloween room decoration champs, the Middle Room bagged first place for the fourth year in a row with their Joker-infiltrated Arkham Asylum concept. The Admin Room came in second, while the Ops Room nabbed third place. Unlike the stricter criteria for room design, the TrueLogic costume contest kept things simple. The sole basis for judging was how insanely Arkham Asylum the contestants were. Gary Ferrolino, who impressed the discerning crowd with his spot-on impression of the Scarecrow, came in 1st place, bagging Php 5,000 in the process. 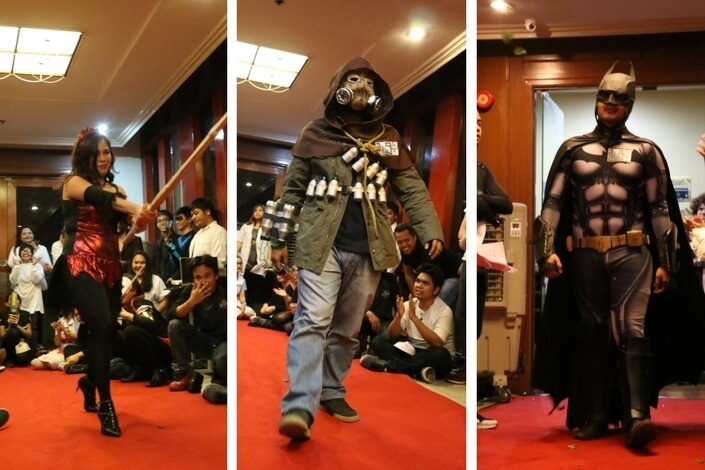 Meanwhile, Hydy Gutierrez’s Harley Quinn and Anica Alfelor’s Poison Ivy won 2nd place and 3rd place. They received Php 3,000 and Php 2,000 as prize money, respectively. As for the Halloween games, Team 3 won 1st place and was awarded Php 4,500. Team 5 came in 2nd and received Php 2,500, while Team 2 came in 3rd and won Php 2,000. After congratulating one another for a job well done, the team capped off the night with some mouthwatering fare from buffet. Now that Halloween is over, however, the entire team is all too ready for the next TrueLogic company event: the year-end Christmas party. What will the team get up to this time?